Learned traits are referenced in the lists of prototypes, but definitions will need to wait for posts focusing on the different paths. I am not satisfied with all the trait names yet (or even all my terminology in general), so in some cases I have simple descriptive names which may be replaced later (such as “listen”). Prototype names may also change, but should get the basic idea across. Note that by default prototypes provide pretty much all of the game benefits of traditional classes, and default (though not set in stone) advancement up to at least level 9 if players focus only on improving the starting path traits (3 traits to begin with, two improvements per level, leading to three traits at 6 by level nine). This, then, is your stereotypical mechanically simple fighter, magic-user, thief, etc. The variety of traits (hopefully not overwhelming) should, however, give a sense of how more specific character concepts could be represented (or, even better, developed through play). I like the idea of backgrounds, but they are certainly the least core element of Hexagram so far, and could easily be omitted (though I like having a named thing that differentiates one soldier from another, for example; it gives players an easy descriptor to hang meaning on). Still considering how to handle them exactly, but I have some ideas about plugging them into the scenario design system (as a way to quickly communicate the tenor of a particular game). Zero level play is supported by not picking a prototype or any learned traits at the beginning. In this mode, all advancement is considered off-path and requires diegetic justification (finding an item or teacher) for every point gained. Path may also be selected at any point diegetically in a similar fashion. Gaining 100 XP is perhaps a good threshold for path selection (and is how I’ve been determining when zero level humans get a class in my OD&D game). To summarize, a player need only perform stems 1, 4, 5, and 6 in the checklist below to create a zero level character. See also the section on scenario design to work diegetic goal features into the beginning campaign (basically, one can place a few options for how to pick up a prototype within the game beforehand as a kind of treasure). As always, I expect the language to tighten up in future drafts (I always start out too wordy). Also, thanks to Paul from Dungeonskull Mountain for the trait name thrall-binding. Ability scores are the measure of basic character potential, and consist of the traditional 6: strength, dexterity, constitution, intelligence, wisdom, charisma (see ability scores section). 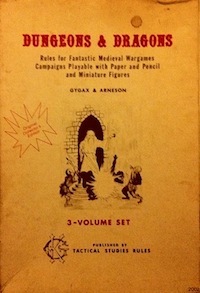 Unlike many fantasy roleplaying games, ability scores do not have a strong determining effect on character power, potential, or survivability. 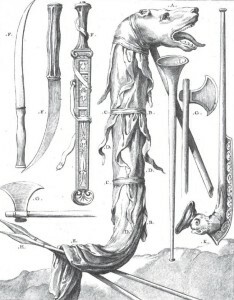 They do not control things like maximum power attainable, do not provide large modifiers to other tasks, and are not used in life or death situations such as catching yourself if you fall off a cliff (saving throws, which are dependent upon level attained, are used to resolve those sorts of situations). However, ability score checks are used to resolve the outcome of less critical actions, such as how many characters are required to lift a heavy gate and provide minor modifiers (such as +1 to missile attacks for extraordinary dexterity). They are also an aid to individualizing characters. 3d6 in order can assist you in developing characters that you might not otherwise play, but if you have a clear concept in mind, feel free to arrange them to taste. In general, below average ability scores (less than 9) will come with a small penalty, and above average ability scores (above 12) will come with a small bonus. Path determines what capabilities characters have to confront adversity. There are three paths, in service of three broad traditional fantasy archetypes. The path of steel, for characters than focus on solving problems through force of arms; the path of guile, for characters that focus on solving problems through cleverness and misdirection; and the path of sorcery, for characters that focus on solving problems through magic and the intercession of arcane powers. 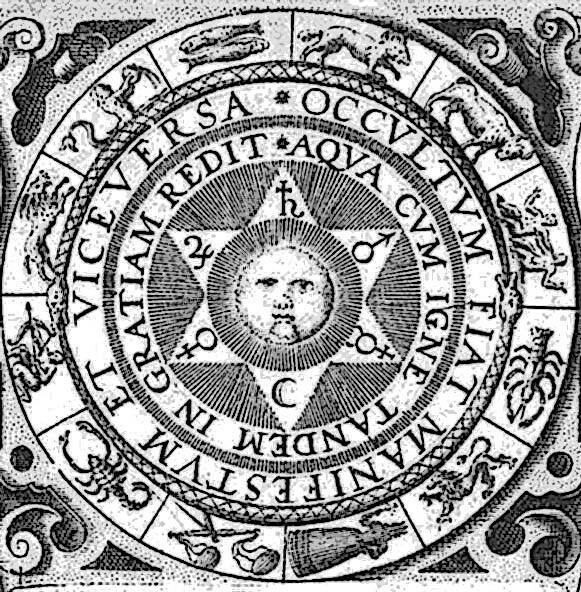 Path controls only what traits characters advance in most easily, and the final degree of power attainable; it does not limit which traits may be taken. 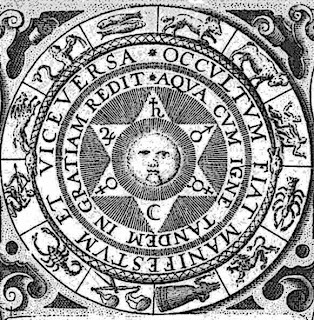 For example, in the default mode of play, Hexagram characters may only attain level 5 (of 6) in any off-path trait. See the section on advancement and the sections on specific paths for further details. The specific selection of the three starting traits is governed by prototype (see below) or may be selected directly by players. Prototype is a selection of starting traits in service of a narrow archetype. Selection of traits by prototype will support progression up to ninth level with no player choice required (though, of course, players may deviate from expected prototype progression at any level gained). Characters who draw all or most of their traits from a single path will end up advancing slightly faster due to their focus, but at the cost of flexibility. A prototype is not required, however. Players may opt instead to select three initial learned trait improvements. No trait may be selected more than twice at the beginning. Note that off-path traits will advance more slowly (see the section on advancement). Off-path traits are noted in italic. In such cases, path determines which single starting trait is “on path”; the other two will advance more slowly and have extra diegetic requirements. Such is the cost of flexibility. Note: these prototypes are preliminary, and will probably change as I work more on the traits. Possessions at the beginning of the game are a function of path, prototype, and background. 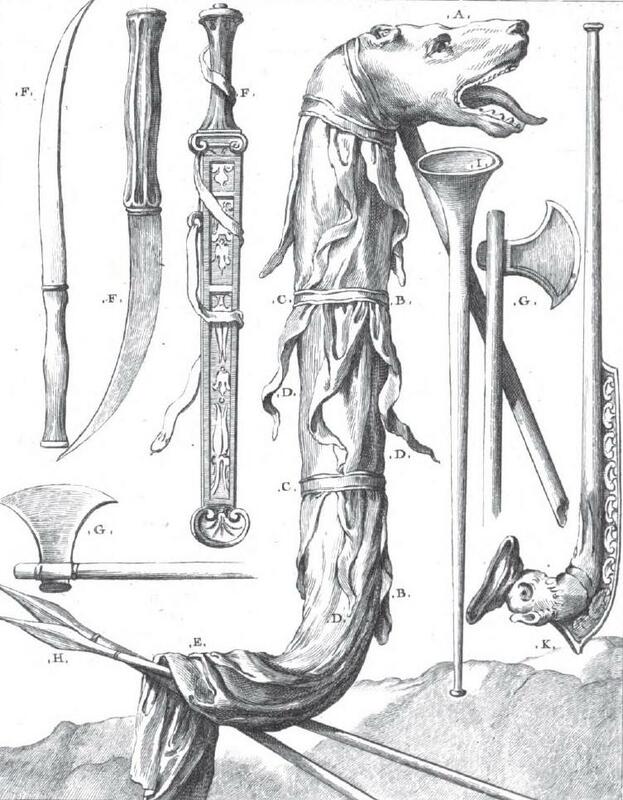 The general idea is that you get one thing relevant to each learned trait in addition to a random selection of adventuring gear satisfying some basic needs (such as light sources and at least one weapon). For example, a character with ranged combat +1 starts with a bow or crossbow. 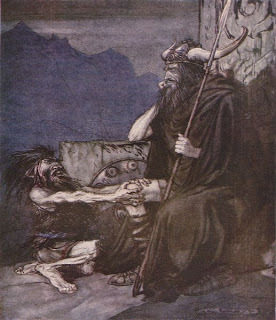 “Possessions” should be understood broadly as anything external to the character; for example, a sorcerer with the thrall-binding trait begins play with a thrall. I plan on building a default table per path for people who want to pick the three starting traits directly, plus more specific tables per prototype (players roll on one or the other, not both). Background will also add one or two items, or, if I’m feeling ambitious, perhaps there will be a random table of extra equipment per background. Intrinsic and derived traits are the finishing touches. All characters begin with 1 hit die at first level, so write that down on your character sheet (characters with extraordinary constitution and/or the path of steel bonus HP trait will add a small amount of bonus HP). You don’t need to roll for hit points until your first session; maximum HP is transient (the number of HD and bonus HP is the persistent measure of a character’s survivability). Write down the AC based on your armor (which should have been determined from the equipment granted by prototype, background, and any purchasing) and your starting saving throw numbers (which will all be 15 to being with other than the one path-specific bonus). 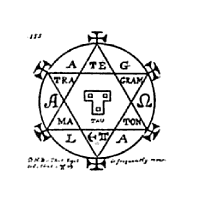 This entry was posted in Rules and tagged Hexagram on August 30, 2012 by Necropraxis. To the right you can see an excerpt from the original turn undead system from OD&D. This basic idea has filtered down through all TSR editions, though it was finally replaced by the bland damage mechanic of Third Edition. The way this table works is really nice mechanically. 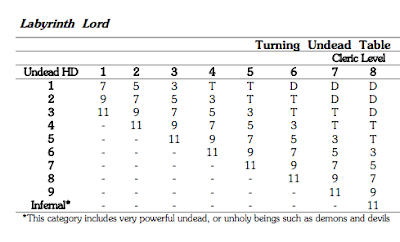 As the cleric gets more powerful, more types of undead can be automatically turned or destroyed, but a random roll is still require to see if the more powerful undead are affected. As elegant as the results are, it still requires a table. Maybe we can approximate the table with a simple rule? It’s been done before, but here are some other approaches. So, considering the max HD of the affected target, rolling 7+ gives you one extra HD, rolling 9+ gives you two extra HD, and rolling 11+ gives you three more HD (corresponding to skeleton, zombie, and ghoul on the first level of the turning table). Yes, the HD equivalent is not perfect, but these monsters also have some special abilities and immunities, so the equivalency is good enough for government work. Quantifying undead by HD is pretty much what all the clones do, also. This dovetails nicely with some other mechanics that I am considering, but it does still require remembering 3 arbitrary numbers. The level – 1 is also a bit inelegant (and an extra, if simple, math step in the common case). What if we allowed anyone (non-chaotic) to attempt turning undead, assuming they had a cross? That would be “zero level” turning, whereas classed characters would add their turning level to the roll. 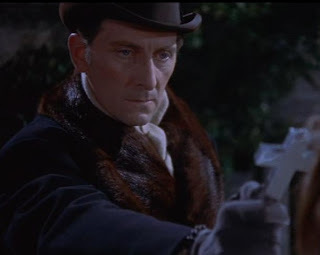 It would fit the literature (after all, characters other than Van Helsing can use holy symbols in Dracula, if I recall correctly). I’m not sure if that steps on the clerics toes too much or not. Given my general approach to thief abilities (anyone can try, thieves are just better), it seems reasonable. It would mean that “first level” turning ability would start at the Adept level. Just an idea. Or maybe (level – 1) is not that bad. 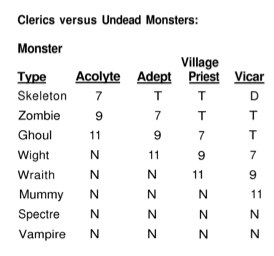 Also, the number of hit dice affected can just be Nd6 where N is the cleric level. I think that probably works better than any other way of counting how many undead are affected. In fact, if we wanted to go really simple, and still preserve the basic idea, we could replace the whole system with rolling for the number of HD affected, but also assume that the max HD of any creature turned is N + 2, and that undead of N – 3 HD are destroyed outright. 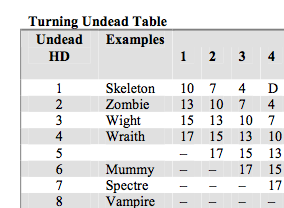 That would mean a character with first level turning ability would be able to turn away 1d6 HD worth of undead, of up to 3 HD each. This could still easily lead to failures at first level even though you always successfully turn at least 1 HD. For example, you could roll a 1 or 2 against a group of multiple single-HD undead. Assuming you wanted to get rid of the lookup table, which approach would you prefer? Or do you have an even better idea? Or am I a heretic for considering doing away with the table? 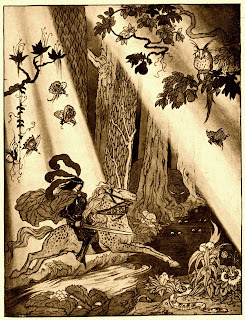 This entry was posted in Uncategorized and tagged cleric on August 25, 2012 by Necropraxis. This is for a more complete alternate system that is in progress, but should also work with traditional D&D, clones, and simulacra. I know some people don’t like any kind of “roll for defense” mechanics, but these weapon abilities should still work minus the parry (which only comes up occasionally in any case). I’m still not totally sold on the parry mechanic myself; I believe it needs more play testing (but I am optimistic). All weapons do 1d6 damage. Some weapons have additional benefits, as described below. The anti-plate weapons should obviate the need for a weapon versus AC table. 2DTH: roll two dice and take the highest for damage. Riposte: if an enemy misses you with a melee strike and rolls 5 or less on the attack roll, you get a free counterattack. Parry: make a saving throw versus paralyzation to deflect an attack that hits. Hold at bay: attacker must make a save to attack you, upon failure you get a free counterattack. Rather than make an attack, characters may choose to focus on defense. This is called “parrying” but should not be thought of as a single block or deflection (any more than a sword attack is a single cut or thrust). Any character may parry, but must be wielding a weapon or holding a shield in order to do so. Parrying allows you to make one saving throw versus paralyzation to avoid what would otherwise be a successful melee attack. 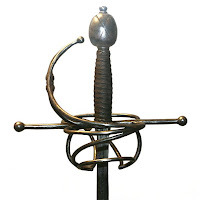 Characters trained in unarmed combat may elect to parry even if not using a weapon or shield. Using a shield also grants you one free parry per turn (this may be used any time before the beginning of your next turn), and unlike standard parrying, shields may also be used to parry missile attacks. 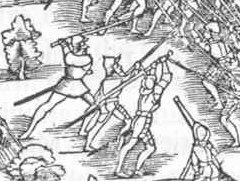 Quarterstaffs also allow one melee parry per round in addition to an attack (though note that a quarterstaff requires two hands to wield). No more than one parry may be attempted per turn. Usable in place of a standard attack, must target one enemy, no attack roll, usable with spears, tridents, and similar weapons. 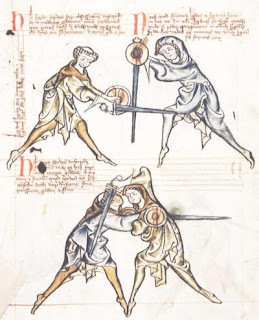 If enemy attacks the spear wielder, enemy must save versus paralyzation or fail in the attack and be subject to a free attack from the spear wielder. Creatures bigger than large size require multiple spear wielders to be kept at bay. Thanks to the people on G+ who contributed to the discussion that led to these rules, first here back in May and then here yesterday. Also see The Dragon’s Flagon regarding a similar (but slightly more complex) system for holding enemies at bay with pole arms. 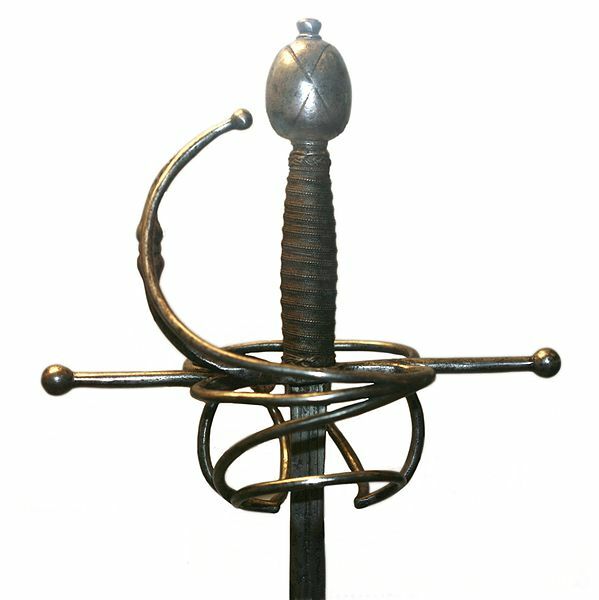 The flail is intentionally omitted, though if I did include it I would have it bypass shields and have a bonus to disarm. This entry was posted in Rules and tagged combat on August 24, 2012 by Necropraxis.